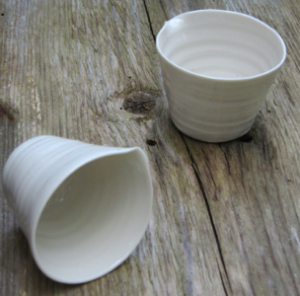 Fanny Peppercorn is a potter producing stoneware and porcelain from her own kiln in Chichester, West Sussex. Her work is inspired by the coastal landscape and organic form. Her pottery has taken her to Bermuda, France, Italy, the USA, Australia and Zambia.